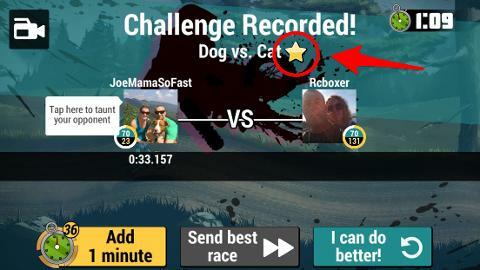 In Versus you can mark a track as a favorite by tapping the star icon after a race as shown in the picture below. 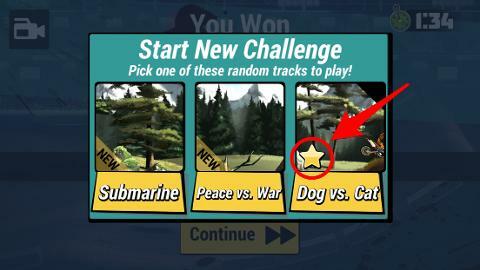 Once tagged as a favorite you'll see a star on the that track card in the Versus track selection screen as shown below. This feature helps players remember which tracks they loved. If you find a track you love just tap the star after the race. Then you'll be reminded on which tracks are your favorites when you see the star on the track selection screen.